Reba June Jackson, age 83, of Hazard, KY passed away on November 22, 2018 at Greg and Noreen Wells Hospice Care Center. Reba was an educator for the Perry County School System for 30 plus years with 20 years being a librarian teaching children the love for reading. After retirement in the schools she continued her love for reading at the Perry County Public Library for an additional 10 years. 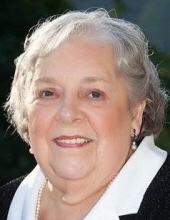 She was a lifetime member of the Upper Second Creek Baptist Church where she filled many roles within the church. She was the daughter of the late Remine Combs and the late Edna Feltner Combs. She is also preceded in death by her husband of 52 years: David Lee Jackson; one daughter: Becky Faye Elfstrom; one brother: Eugene Combs and one sister: Izena Leech. She is survived by one daughter: Lissa (Michael) Davis of Ary, KY; two sons: Jimmy (Marilyn) Jackson of Hazard, KY & Mickey Joe Jackson of Hazard, KY; six grandchildren: Beth (Neil) Price, David (Kayla) Davis, Keilah (Dillon) Cornett, James (Kajen) Jackson, Matthew Jackson & Channing Jackson; three great grandchildren: Adysen Davis, Kalli Davis & June Marie Jackson; two special nieces, one special nephew and a host of family & friends. Visitation will be from 5-8PM Sunday Nov. 25, 2018 at Maggard's Mtn. View Chapel. Funeral will be at 11AM Monday Nov. 26, 2018 at the Upper Second Creek Baptist Church with Henry Clay Robertson. In lieu of flowers family request donations be made to the Bluegrass Hospice Care Center. To send flowers or a remembrance gift to the family of Reba June Jackson, please visit our Tribute Store. "Email Address" would like to share the life celebration of Reba June Jackson. Click on the "link" to go to share a favorite memory or leave a condolence message for the family.